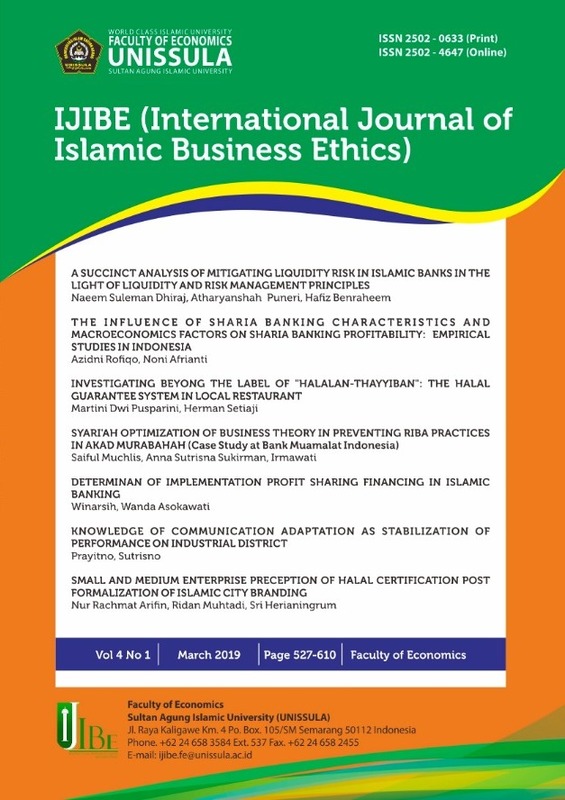 International Journal of Islamic Business Ethics (IJIBE) is a publication medium of research results in the field of Islamic business ethics. Islamic business ethics is a concept of business which based on Islamic values and principles. It is guidance for business actors to know what is right or wrong from Islamic perspective. This is aimed for the benefit of people and the welfare of broader community for either the present or the future. This Journal is published twice a year. Read the Author Guidelines before submitting the article.